We live in extraordinary times. Unlike a few years ago when online search options were narrower and more focused, we now live in the “Social” information age where optimized data is hard to sortfrom a plethora of facts and figures on the web. Consumers now have a difficult task finding the right match within an almost infinite number of product choices or service providers. For dental consumers, finding the right dentist, and choosing the right dental care option hasn’t been immune from the “Social” invasion on the web. The fundamental answer to the “Uniqueness” of your practice, or how to help patients get better care, depends on how you separate yourself by building a Personal Practice identity. Dentistry was not only meant to provide a delicate and specialized set of skills for patients, it is also meant to create close personal bonds with people and their extended social network. When building a practice identity, what will distinguish you from your competition? Is it where you build your office, or how you design and decorate it? Is it your friendly and welcoming office staff, or how they promote your skills? Is it how your website looks and feels, or the content you sporadically post on your social media? Is it the good online reviews that differentiate your office from your competition? Is it the painless root canal treatments you are capable of doing? 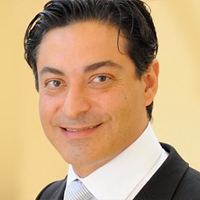 Is it that ideal occlusion you’ve designed in your last full mouth reconstruction case? Is it the perfect implants you place, or that beautiful bridge you delivered last week? As much as these are all important to your overall practice success, Building a reputation for compassion and genuine care while practicing dentistry, is the most important differentiator. You need to not only assert that you provide the best overall service in your competitive area, you and your team needs to deliver on that promise through effective and inviting interpersonal skills. Your “Practice Personality” and “Unique Personable Brand” is your unique digital footprint in the seamless age of technology and “Social” information. As dentists, we need to re-incorporate the human and compassionate side of dentistry back into our practices. 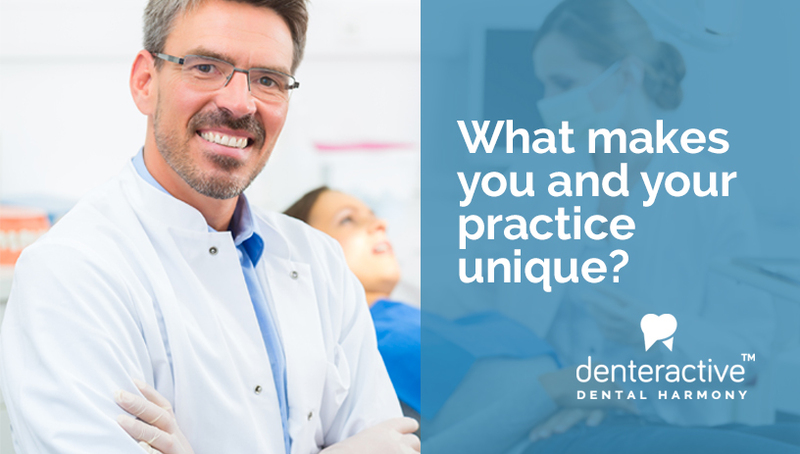 With Denteractive, not only you can attract new prospects to your practice, but more importantly, you can provide a unique service to your existing patients that will set you apart! With our easy and secure text messaging and video calls, you can answer questions at your convenience, do quick follow ups and be closer to your loyal patient’s personalized dental care than before. The Denteractive Emergency and Video tools allow you to provide a few minutes of your time to remotely meet a prospective patient, passionately talk about real dental topics and have a chance to show that you are up to date and caring personality. Denteractive’s Live Scheduler empowers patients and prospects to meet your staff, and more effectively communicate their needs for an optimized appointment booking. Every practice has a brand, whether you know yours or not. Take control of it and spread your unique “Personable” brand to ensure better success!